The 2008-09 financial crisis dragged the world into a recession and put paid to the ambitions of many steel groups, including a few in India, to have global production footprints. Though European steel demand has started reviving, primarily due to an improved show by the automobile and appliances sector, Tata Steel Europe is not out of the woods yet, despite some major restructuring and permanent resting of capacity. ArcelorMittal remains an exception in the global steel sector, as ahead of the recession, it had emerged as a global steel behemoth, with significant presence in Europe, thanks to the company's chief Lakshmi Mittal successfully fighting an epic battle to acquire the Luxembourg headquartered Arcelor, highly rich in capacity and technology. ArcelorMittal continues to acquire and build new capacity, but with more discretion than in the past. Demand recession and low prices saw Mittal, till recently, engaging in shutting unviable plants, braving opposition from unions and host governments. The market left him with no alternative but to cut the size of group operation in line with the changing demand. The spirited restructuring, including restarting select steel projects, has improved the profitability of the company's steel business. As it is the only steel group with major global presence, including in China through a joint venture, it is the bellwether for the global steel sector, as Alcoa of the US is for aluminium or BHP Billiton is for mining. Therefore, the announcement of ArcelorMittal's results and estimates are awaited with much interest by steelmakers everywhere. But have Mittal's initiatives such as scaling back capacity, focusing on innovative solutions with steel products for sectors such as automotive and energy and staying on a relentless drive to cut production costs, on occasions ruffling union feathers, started paying results? Yes, going by the group's results for the quarter ended June this year. For the first time since 2012, the company had a profitable quarter, with net income at $52 million, compared with a $780-million loss in the corresponding period last year. The improvement, which an analyst with Macquarie appropriately describes as "baby steps, rather than leaps", is due to the group benefiting from a rise in demand in the developed markets of Europe and North America. These two regions account for two-thirds of ArcelorMittal's steel shipments. The group's iron ore business, both in terms of production and shipments at market prices, continues to make progress, as expected. Market-price ore shipments rose to 10.5 million tonnes (mt) in the June quarter from 8.2 mt a year earlier. But benefits that should have accrued from increased shipments were offset by the lower than anticipated iron ore prices. Earlier, credit was taken for an annual average iron ore price of $120 a tonne for ore with 62 per cent iron content. As this has now been revised to $105 a tonne, with realisation for the second half of this year pegged at $100 a tonne, ArcelorMittal has scaled down the estimate for 2014 earnings before interest, tax, depreciation and amortisation (Ebitda) from $8 billion to $7 billion. Declines in ore price falls, largely due to new supplies coming in, particularly from Western Australia are, however, no distraction for the company to expand its minerals business. The second phase of its Liberian iron ore project, entailing 15 mt of premium sinter feed, is underway. In the meantime, the company has reached agreements with Billiton and a unit of Areva of France to buy their stakes in the Mount Nimba ore project in Guinea, with estimated reserves of 935 mt and iron content of 63.1 per cent. The development is another confirmation of ArcelorMittal's plan to have a bigger profile in the iron ore space, which is modest in size in comparison to the group's steel operations. The mined ore is usually sold at market prices and also used by ArcelorMittal mills. The Mount Nimba project is a smart acquisition, as it leverages the company's existing presence in the region. More, capital and operational cost in Guinea will be low, as the Liberian rail road and port will be used to evacuate Mount Nimba ore. Iron ore prices may have tumbled on supply pressure, but mining powerhouses such as Rio Tinto and Billiton remain committed to ramping up production of steel-making ingredient, as this still generates 30 per cent profit margins. The question is whether ArcelorMittal is part of the lowest cost quartile of ore diggers. 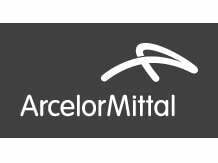 What is inspiring for ArcelorMittal is the $7-a-tonne improvement in steel Ebitda in the June 2014 quarter compared to the corresponding period last year, owing to demand and price increases, particularly in Europe and North America, where Ebitda rises were $19 and $11 a tonne, respectively. Profitability in the steel business in developed markets is improving. Global steel demand, on which China has an overbearing influence, is set to increase 3-3.5 per cent. What is helping ArcelorMittal is the expected six per cent rise in demand in the US and four per cent in Europe. All indications point to a further improvement in the steel market. That should make it possible for ArcelorMittal to pare its debt to $15 billion from $17.4 billion at the end of June.